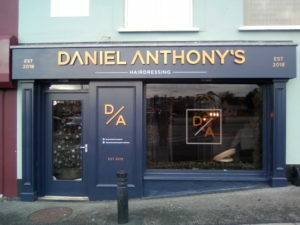 Home >> News >> New Style for Hairdressers ! 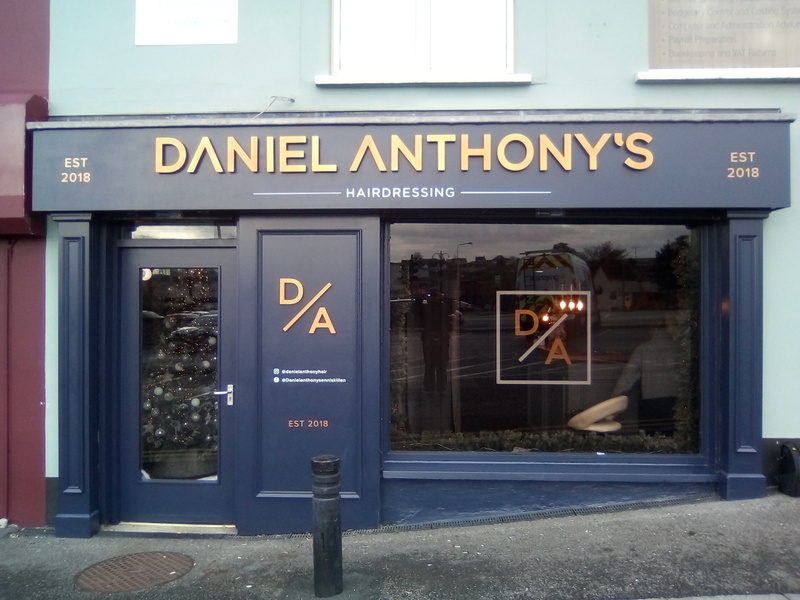 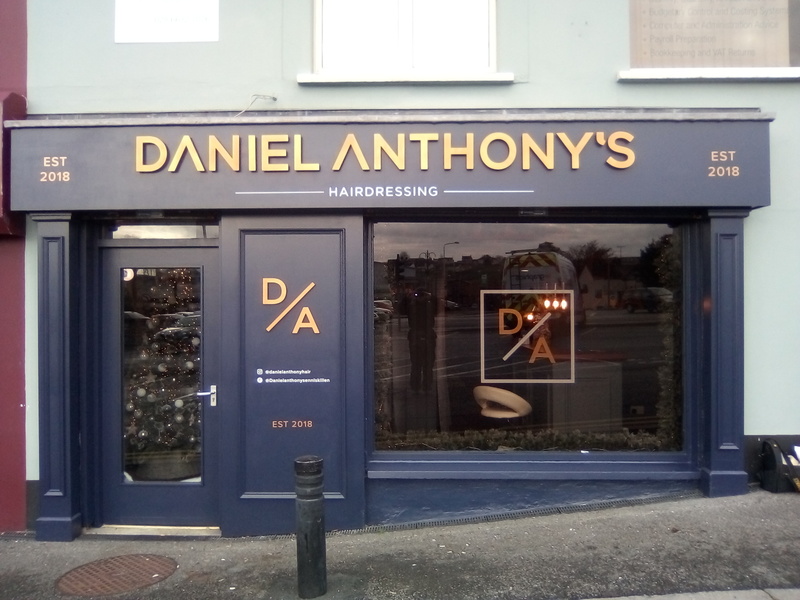 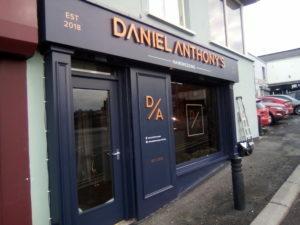 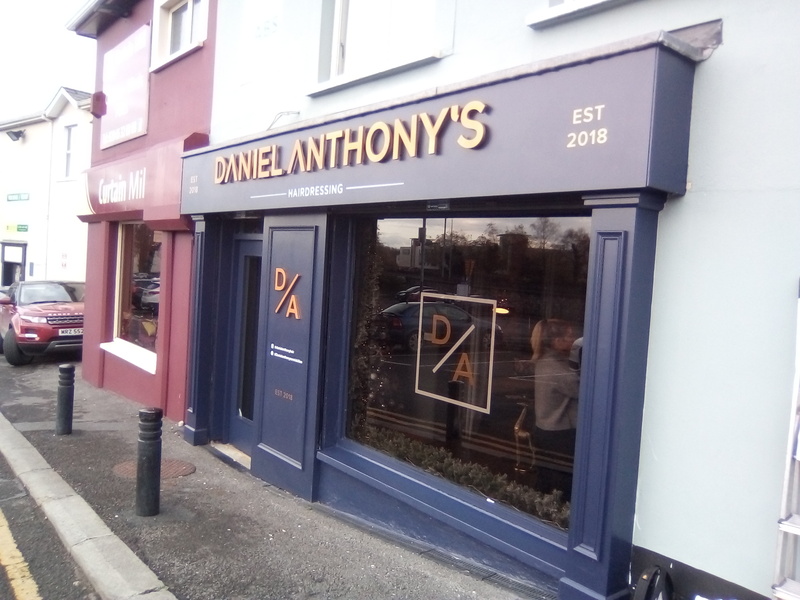 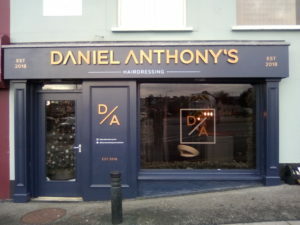 LE Graphics are delighted to be the sign maker of choice for the newly opened Daniel Anthony’s Hairdressing Salon at New Street (Off Quay Lane) in Enniskillen. The new shop front look rich and bang on trend with the french navy woodwork being perfectly complimented by classically simple 3D letters finished in a deep copper colour. 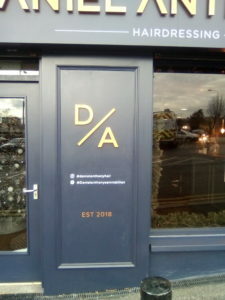 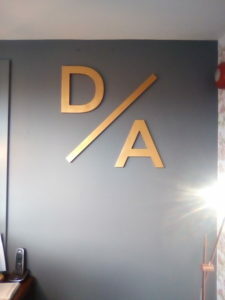 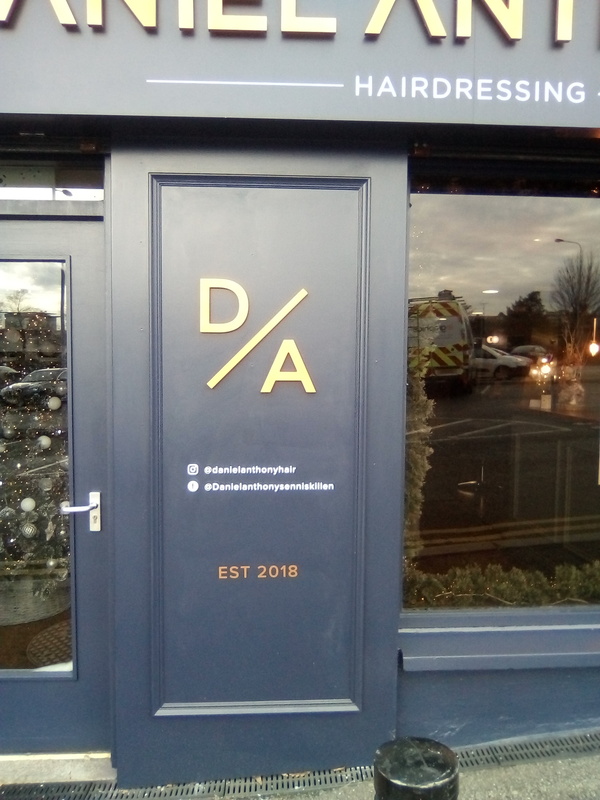 Secondary text has been added in a simple flat vinyl in white and colour matched copper and the 3D monogram “D/A” has been repeated on the interior wall at the reception area.